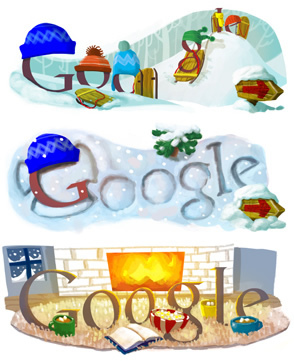 Google has added another trick to its bag just in time for the holidays. If you search for "let it snow", you will receive a wintery visual treat which adds snow fall and a "foggy glass" effect to the results page. After a few moments pass, you can then wipe away the fog away with your mouse cursor. It is important to note this trick only works on the most modern of browsers that support the "Canvas" element, a feature unique to HTML 5. I have verified it works in IE9, Chrome and Firefox 8.0.1. Your mileage will most definitely vary with older and alternative browsers. ASCII: Type in ascii art and Google will change its look to match your search criteria. Alternative languages: Google doesn't discriminate. They kindly provide search services in such important languages at Klingon, Pirate and more.